"I think I'm dreaming," said Bonomo. "I think that this is not real life and I think that's the secret. Just win in your dreams because there you can actually win every tournament." "In the final match, I simply caught much hotter cards than I did in the semifinal match. I didn't know who my opponent was before the start of the championship, but I looked him up online and he plays high stakes cash online. He's just the type of guy that knows all the spots inside and out. Definitely not someone that you want to face in a heads-up tournament." "The first bracelet definitely felt a lot more special. I had four second-place finishes at that time without a first-place finish. Now, I don't really have to feel like I have to get any monkey off my back anymore or kill any kind of curse. The significance of this one just means that my insane winning streak isn't over. I just hope it continues." 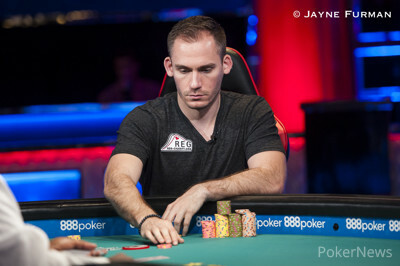 Hand #37: Jason McConnon raised to 65,000 and Justin Bonomo folded. Hand #38: Bonomo raised to 70,000 and McConnon three-bet to 250,000, which prompted a fold from Bonomo. 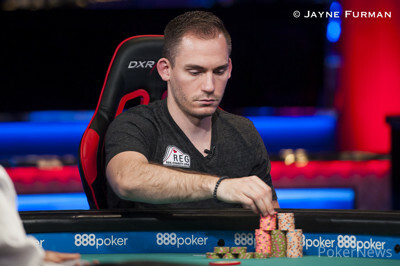 Hand #38: McConnon made it 65,000 to go and Bonomo three-bet to 260,000. That ended the hand right there, as McConnon quickly folded. Hand #39: A walk for McConnon. Hand #40: McConnon raised to 65,000 and Bonomo called. The flop came and both players checked. On the turn, Bonomo checked and McConnon made it 80,000 to claim the pot right there. Hand #41: Another walk for McConnon. 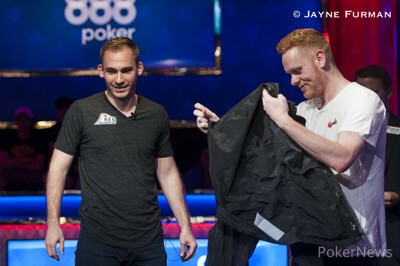 Hand #32: Justin Bonomo folded his button, giving Jason McConnon a walk in the big blind. Hand #33: McConnon opened to 70,000, Bonomo three-bet to 300,000 from the big blind and McConnon called. Both checked to the river of a board where Bonomo bet 300,000. McConnon folded. Hand #34: Bonomo raised to 70,000 from the button and McConnon called from the big blind. They checked to the turn of a board where McConnon check-folded to Bonomo's bet of 60,000. Hand #35: Bonomo received a walk in the big bind. The flop came down , McConnon check-called 40,000 from Bonomo and the turn fell. McConnon checked, Bonomo bet 100,000 and McConnon folded. Hand #27: Jason McConnon folded and Justin Bonomo received a walk. Hand #28: Bonomo raised to 65,000 and McConnon folded. 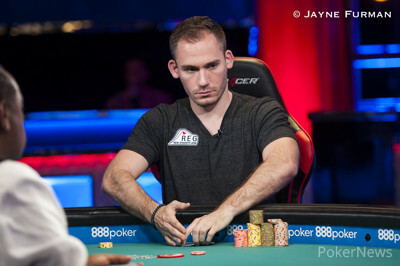 Hand #29: McConnon raised to 70,000 and Bonomo called. The flop fell and both players checked. After the turn, both players checked once more and the river paired the board. Bonomo made it 210,000 to go and McConnon folded. Hand #30: Bonomo made it 70,000 to go and McConnon came along to see the flop. The action went check, check, and the on the turn resulted in a check by McConnon, Bonomo checked behind. The on the river, McConnon checked and Bonomo bet 110,000 to claim the pot uncontested. Hand #31: Bonomo received a walk. Hand #23: Jason McConnon raised to 60,000 from the button and Justin Bonomo called from the big blind. They checked to the turn of a board where Bonomo bet 40,000. McConnon called, the river completed the board and Bonomo bet 150,000. McConnon called after a few moments. Bonomo tabled for kings and sixes and McConnon mucked. Hand #24: Bonomo opened to 52,000 from the button and McConnon defended his big blind. They checked to the turn of board where McConnon check-folded to a bet of 30,000 from Bonomo. Hand #25: McConnon raised to 50,000 from the button and Bonomo released his hand. Hand #26: McConnon received a walk. Hand #18: Justin Bonomo folded and Jason McConnon received a walk. Hand #19: McConnon raised to 60,000 and Bonomo folded. Hand #20: Bonomo raised to 52,000 and McConnon called. On a flop of , McConnon checked and folded to a bet worth 30,000. Hand #21: McConnon made it 60,000 to go and Bonomo called. The flop came and Bonomo checked, then folded to a bet worth 40,000. Hand #22: McConnon got a walk. Hand #13: Jason McConnon raised to 60,000 from the button and Justin Bonomo called from the big blind. 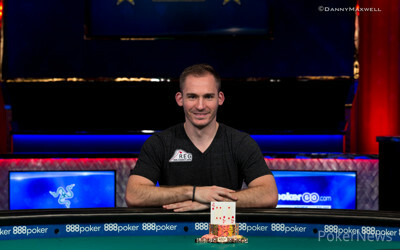 The flop came down , and Bonomo check-folded to a bet of 80,000 from McConnon. Hand #14: Bonomo raised to 55,000 from the button and McConnon defended his big blind. They checked to the turn of a board where McConnon bet 75,000. Bonomo called, the river completed the board, and McConnon bet 175,000. Bonomo quickly called. McConnon held just , while Bonomo tabled for a pair of jacks to win the pot. Hand #15: McConnon raised to 60,000 from the button and Bonomo defended his big blind. They checked to the turn of a board where Bonomo bet 40,000. McConnon called to see the river where Bonomo bet 65,000. McConnon called after a few moments. Bonomo tabled for a pair of eights, McConnon mucked, and Bonomo won the pot. Hand #16: McConnon received a walk. 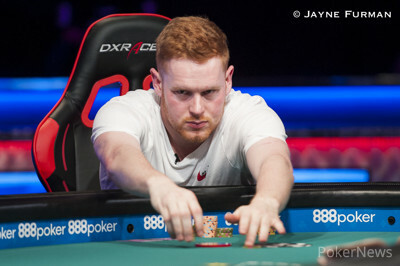 Hand #17: McConnon raised to 60,000 from the button and Bonomo called from the big blind. The flop came and Bonomo check-folded to a bet of 40,000 from McConnon. Hand #8: Justin Bonomo folded and Jason McConnon received a walk. Hand #9: McConnon raised to 50,000 and Bonomo folded. Hand #10: Bonomo raised to 47,000 and McConnon called, the flop came and both players checked. On the turn, the action went check, check, and the fell on the river. McConnon bet 32,000 and Bonomo called, then mucked when the Brit showed the . Hand #11: McConnon raised to 50,000 and Bonomo folded. Hand #6: Justin Bonomo raised to 47,000 from the button and Jason McConnon called form the big blind. The flop came down and McConnon check-called 30,000 from Bonomo. The turn was the , both players checked, the river was the and McConnon bet 140,000. Bonomo tanked for a bit before he folded. Hand #7: McConnon raised to 50,000 from the button and Bonomo called from the big blind. The flop fell and Bonomo check-called 30,000 from McConnon. The turn was the , Bonomo checked and McConnon bet 125,000. Bonomo check-raised to 425,000, McConnon called after about 45 seconds, and the river completed the board. Bonomo bet 675,000, sending McConnon into the tank for about two minutes before he folded. Hand #1: Jason McConnon raised to 50,000 and Justin Bonomo folded. Hand #2: A walk for McConnon. Hand #3: McConnon raised it up to 50,000 and Bonomo three-bet to 210,000, McConnon folded. Hand #4: Bonomo raised to 48,000 and McConnon came along to see a flop of , which both players checked. After the turn, the action went check, check, and the appeared on the river. McConnon checked and Bonomo made it 40,000 to go. McConnon check-raised to 220,000 and Bonomo folded. Hand #5: A raise to 50,000 by McConnon shut down all further action.